4/5 Our kid is in footprint from last two years and we are pretty satisfied with overall care they extend to our kid. We hope they continue the same with the same sprit. 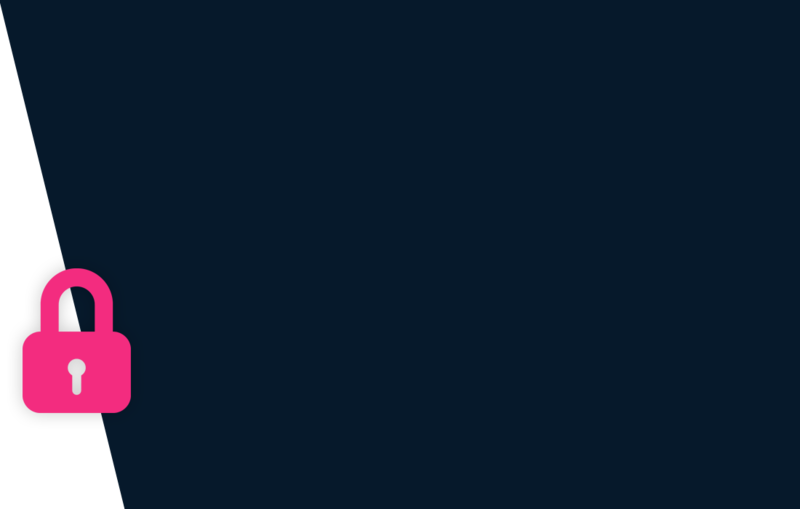 This school first reviewed on 16 Jan 2017 at SchoolWiser. The overall experience with Footprints Play School & Day Care, Sohna Road based on the ratings left by users so far seems to be excellent but the sample size of the ratings is insignificant. The ratings suggest that the school offers a lot in terms of the Teacher's Competence. It also scores reasonably on Classrooms, Sports & Safety and Hygiene. Though parents may seem to have some reservation over Instructor’s Competence. Checkout detailed ratings and reviews below for reference but do exercise your best judgement. A detailed fee structure & complete breakup for Footprints Play School & Day Care, Sohna Road is provided below for reference. The objective of the fees details below is to provide an economic reference point for parents to understand approximate expense for this preschool and evaluate affordability based on their current circumstances and for the long term. For parents admitting their children in admission session 2016-2017 at The school the total preschool fees for the first year including all admission related charges for KG but excluding transport fees shall be around Rs.87,500. This includes total One-Time Admission related Charges of Rs.3,500. For parents continuing in the school from previous years, the effective annual fees is around Rs.84,000 i.e. approx. Rs.7,000 per month or Rs.21,000 per quarter without transport fees. 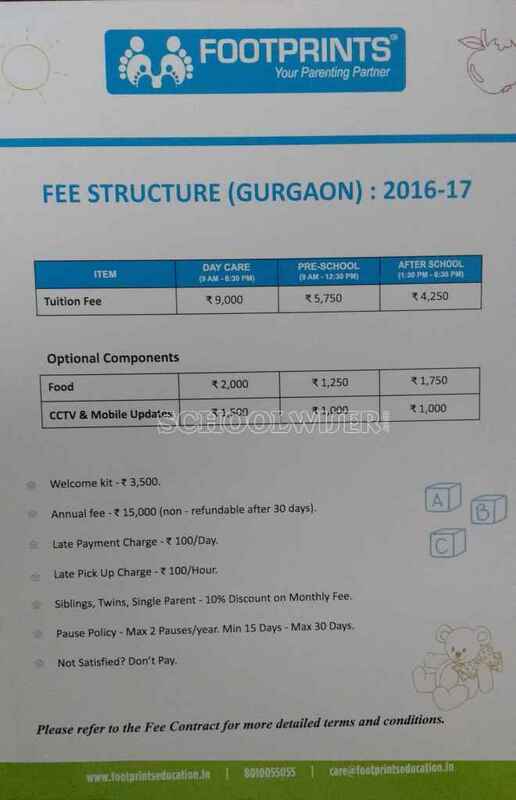 The mean average annual fees (without admission & transport fees) of all preschool in Gurgaon whose fee details are available on SchoolWiser is Rs.95,000.